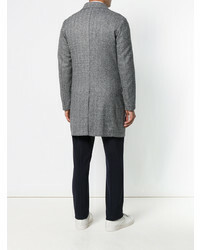 Wear an Eleventy double breasted herringbone coat with blue ripped skinny jeans for a comfy-casual look. Smarten up your outfit with white leather low top sneakers. 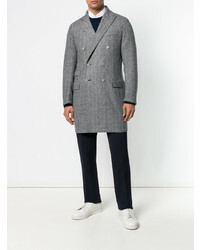 For a nothing less than incredibly stylish getup, pair an Eleventy double breasted herringbone coat with beige wool dress pants. Choose a pair of black leather chelsea boots to make the look more current. 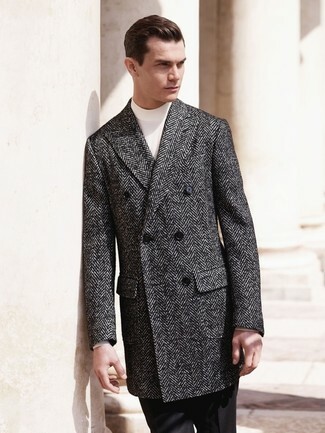 An Eleventy double breasted herringbone coat and black dress pants is a greatcombination for you to try. 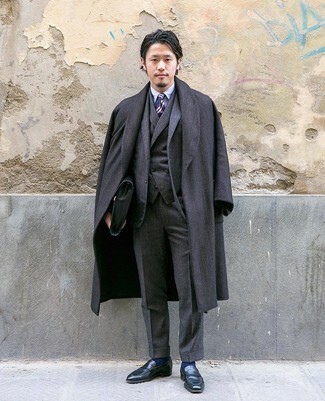 For a nothing less than incredibly stylish ensemble, make an Eleventy double breasted herringbone coat and a charcoal three piece suit your outfit choice. Take your look into a more casual direction with black leather loafers. As you can see, getuping on-trend doesn't take that much time. 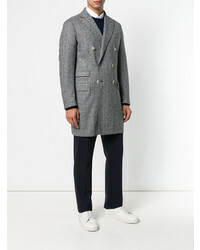 Just make an Eleventy double breasted herringbone coat from farfetch.com and black chinos your outfit choice and you'll look awesome. 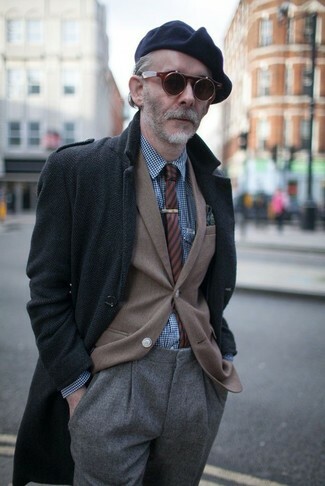 Throw in a pair of tan suede work boots to make the getup more current. 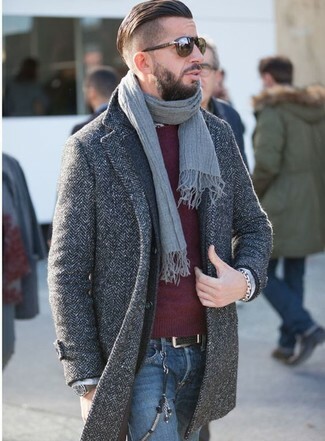 This pairing of an Eleventy double breasted herringbone coat and charcoal jeans is super easy to make up in seconds time, helping you look awesome and ready for anything without spending too much time going through your wardrobe. 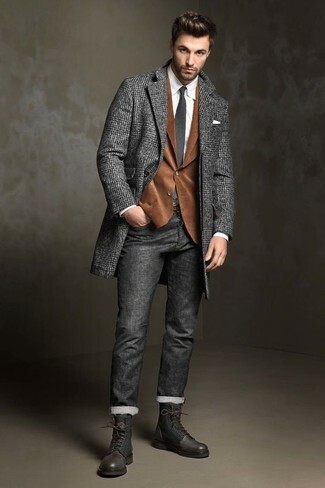 When it comes to shoes, this look is complemented wonderfully with dark brown leather casual boots. 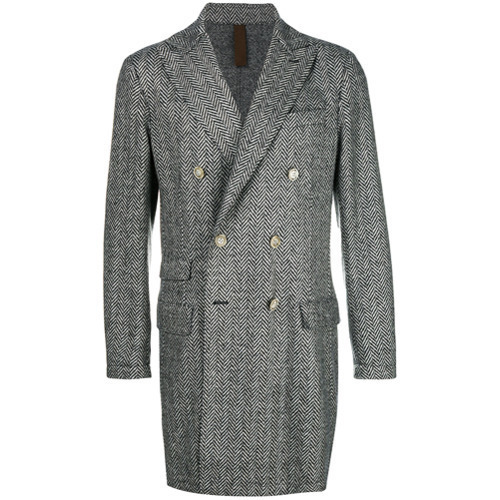 Wear an Eleventy double breasted herringbone coat with grey wool dress pants like a true gent. 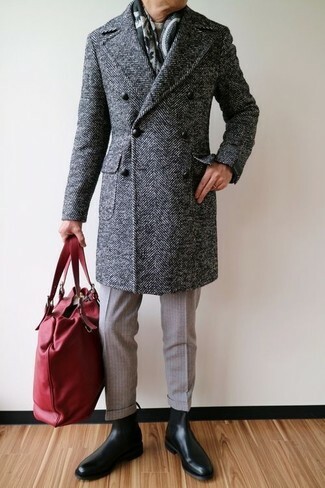 This combination of a charcoal herringbone overcoat and blue jeans is so easy to put together in no time, helping you look seriously stylish and ready for anything without spending a ton of time rummaging through your collection.